ReNew Power Ventures Pvt. 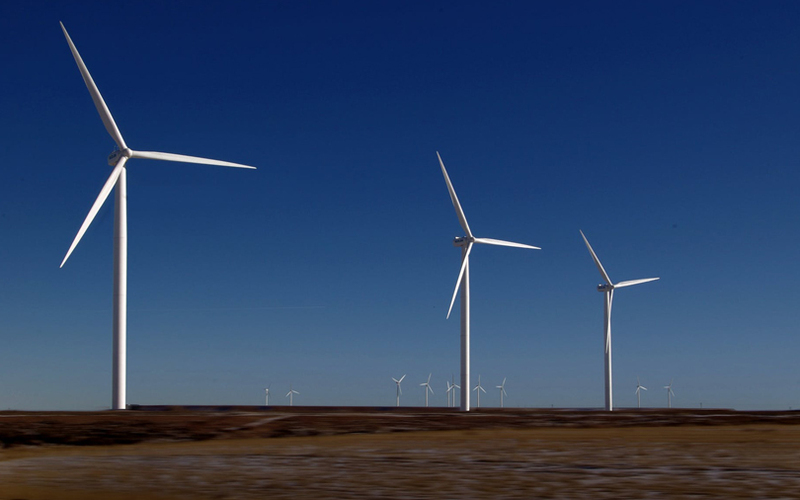 Ltd has agreed to acquire three fully operational wind power assets of the KC Thapar Group having a total capacity of 103 MW. According to a press statement by HSA Advocates, the legal adviser to KC Thapar Group, ReNew Power picked up a 100% stake in KCT Renewable Energy Pvt. Ltd for Rs 1,000 crore ($153 million). The KCT Group, which has business interests across sectors, including coal, engineering equipment, container and allied products, real estate, manufacturing and aquaculture, had put its wind energy assets on block, and had received bids from a dozen Indian and foreign entities. The power plants are located in Kurnool and Anantapur districts of Andhra Pradesh – two projects of 40MW and 39.1MW in Molagavalli village of Kurnool, and a 24 MW project in Anantapur’s Borampalli village. ReNew Power, which had acquired three companies last year, has been looking at growing inorganically to consolidate its leadership position in India’s rapidly evolving renewable energy space. In July 2016, the company had taken over Helios Infratech’s 180 MW wind power project in Andhra Pradesh, besides picking up 100% stakes in Ahmedabad-based renewable energy company Veer Energy and Infrastructure, and four solar projects of Vikram Power Ventures. According to the company website, the Sumant Sinha-led ReNew Power has over 3,500 MW of commissioned and under-construction clean energy capacity across 16 states in India. ReNew Power counts Goldman Sachs, Abu Dhabi Investment Authority, Asian Development Bank and Global Environment Fund as its investors, besides Japan’s JERA Co., which had pumped in $200 million in February for a 10% stake at a valuation of $2 billion. Goldman Sachs had backed the company in 2011 and had subsequently taken part in funding rounds in 2013 and 2014. It is the lead investor in ReNew Power with $370 million in investments, while Global Environment Fund has invested $35 million in the renewable energy producer. It is also planning to go public by mid-2018, to allow Goldman Sachs to trim its stake in the company. The renewable energy sector in India has witnessed several deals since 2015, when the government set the ambitious target of 175 GW of renewable energy capacity by 2022. India’s renewable energy capacity was at 60.1 GW as of 30 September , according to the Central Electricity Authority. While companies such as Tata Power Co. are ramping up their renewable energy capacity, a number of private equity firms, including IDFC Alternatives and Actis, have also built large portfolios of wind and solar power projects. In August , Singapore-based Sembcorp Industries Ltd had agreed to take full control of Sembcorp Green Infra Ltd by acquiring the stake of IDFC Private Equity Fund III for Rs 1,410.2 crore ($220 million). In July, IDFC Alternatives, through its green energy platform Vector Green Energy Ltd, had agreed to acquire 190 MW of solar power assets across seven projects in India from US-based First Solar Group and its local affiliates. The same month also saw private equity giant Warburg Pincus investing $100 million in Mumbai-based rooftop solar projects developer CleanMax Enviro Energy Solutions Pvt. Ltd.
International Finance Corporation, the World Bank’s private-sector investment arm, too, emerged as one of the prominent investors in the sector. Last year, it had invested $125 million in Hero Future Energies, besides backing Azure Power and providing debt funding to Actis-backed Ostro Energy. In March, Leap Green Energy Pvt. Ltd, a renewable energy firm majority owned by JPMorgan Asset Management, had agreed to buy the entire operational wind power capacity of Inox Renewables Ltd. In June 2016, Tata Power had signed an agreement to buy the renewable energy business of Welspun Group for $1.4 billion.